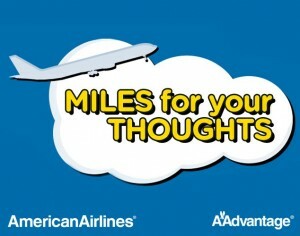 Get Free 500 American AAdvantage Miles. In order to be eligible, you must ”like” both the American Airlines and AAdvantage fan pages then take a quick survey that takes about a minute and asks a few questions on what is your preferred airline, preferred airline loyalty program, secondary preferred airline and such. In addition to earning the 500 bonus miles, you will also be entered to win one of four possible prizes in a random sweepstakes drawings from among all eligible entries. These include three second place prizes of 25,000 AAdvantage miles and one Grand Prize of 50,000 AAdvantage miles. Just note: the contest is limited to the first 200,000 eligible entrants.